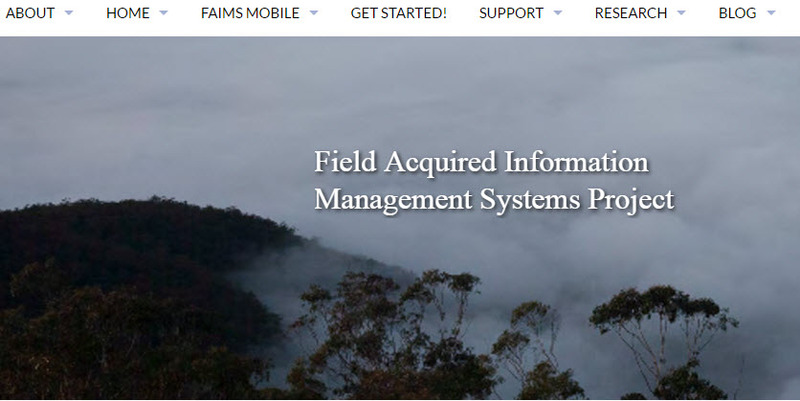 FAIMS (Federated Archaeological Information Management System) is a $950k eResearch Tools project launched on 5 June 2012. FAIMS is led by University of New South Wales in collaboration with participants from 41 organisations, including universities, archaeological consultancies and heritage agencies in Australia and overseas. The goal of FAIMS is to assemble a comprehensive information system for archaeology. This system will allow data from field and laboratory work to be born digital using mobile devices, processed in local databases, extracted to data warehouses suitable for sophisticated analysis, and exchanged online through cultural heritage registries and data repositories. Existing standards and components will be used wherever possible; new ones developed where necessary. FAIMS is funded by the ARC LIEF (Australian Research Council Linkage Infrastructure, Equipment and Facilities) scheme (2014-2015). 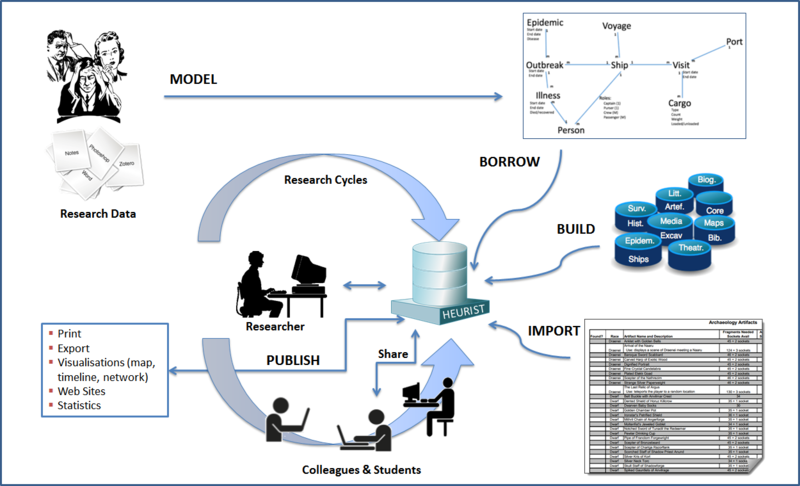 And by the NeCTAR (National eResearch Collaboration Tools and Resources) program (2012-13). NeCTAR is an Australian Government program to build new infrastructure specifically for the needs of Australian researchers, conducted as part of the Super Science initiative and financed by the Education Investment Fund. NeCTAR is collaborating with Heurist and a broad mix of national and international technology partners and research disciplines; from scientists to historians, archaeologists, software engineers and arts disciplines.